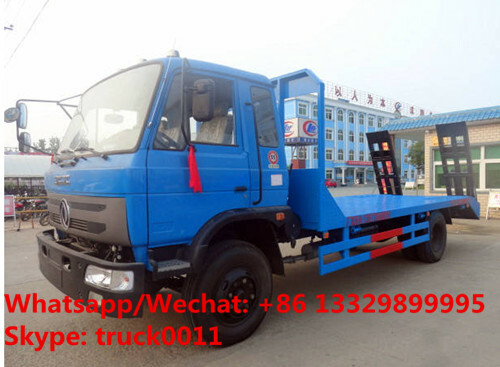 Flatbed truck is also called flatbed transport truck, flatbed machinery transportation truck, platform truck, etc. The flatbed truck is mainly used to transport excavator, loader, reaper,bull-dozers and many other non-removable machinery. It mainly used by large-scale factory, building site, etc. 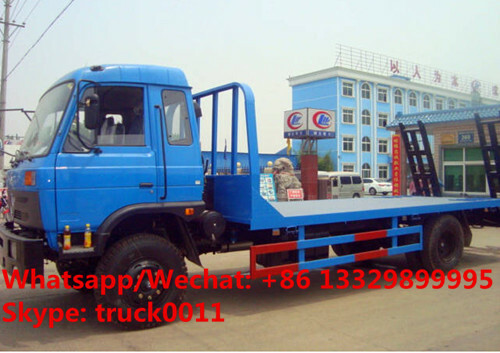 The flatbed truck is consists of truck chassis, checkered plate flatbed, ladders,operation system. The ladders can be manual ladder, hydraulic ladder. 1. Flatbed material is non-slip pattern steel plate,thickness 5mm. 2. The flatbed is surrounded by No. 12 channel steel. 3. Rear ladder length 2.2m,width 0.6m. Type : diesel, 6 cylinder, turbocharged, inter-cooled.